What exactly is a marsupial? Why do the babies go into their mothers’ pouches? How long do they stay there? These are just a few of the questions that best-selling author Ginjer L. Clarke explains in her newest book that covers over twenty different kinds of marsupials, including kangaroos, koalas, and more! That video of the baby kangaroo was so cute!!!! Thanks, Megan. I thought so too! 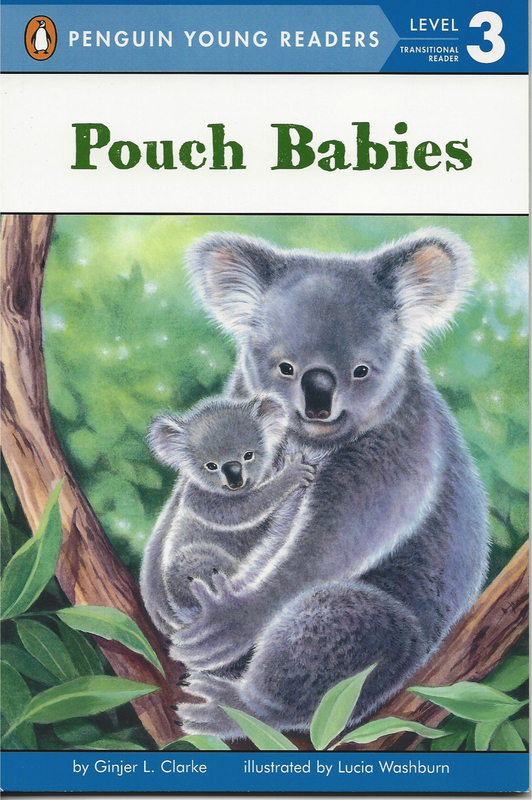 I hope you’ll look for my Pouch Babies book when it comes out in the spring. Happy Reading! I loved your presentation at my school! It rocked so much! I really wanted this book but I didn’t get to buy it. I would really like to read one of your books though! Hi, Reilly. Thanks! I had a great time at your school too. Your library has my books, and there are also a few more copies for purchase if you decide you still want to buy one. Happy Reading! Thanks, Destiny. I had a great time visiting your school, and I’m so glad that you enjoy my books. Happy Reading!